Click below to listen to the Teleconference and scroll down to view the transcript (to be posted Wednesday). Welcome, everyone, to our Kentucky Derby preview. This is annually one of our more popular calls so we’re going to keep introductions short today and leave as much time as possible for everyone’s questions. 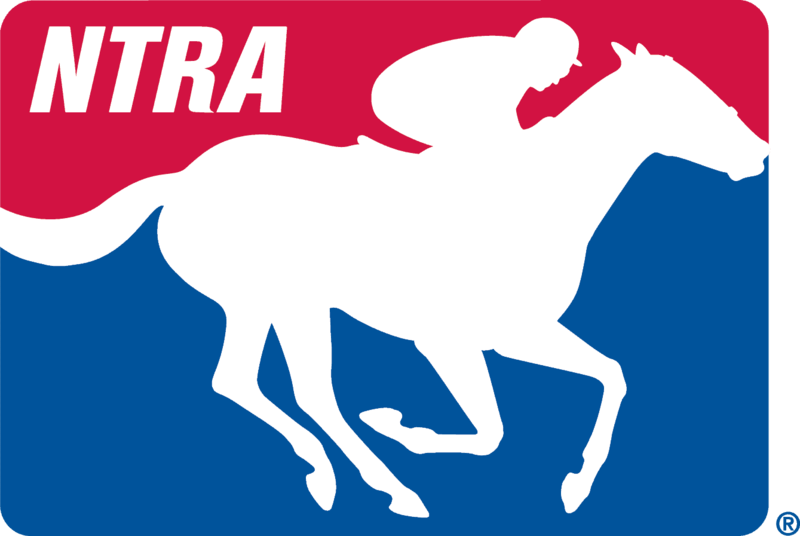 But, as a quick reminder, this is our fourth call over the past month and, just so everyone knows, transcripts and audio files of all of those calls are at www.NTRA.com. This is important because plenty of what was discussed on those calls remains relevant, and if you need info on any of the derby horses you should feel free to go back and reference those. We’ve had the trainers of basically the entire field represented in these four calls this month. So, later on, we’re going to get to talk to Joe Sharp, trainer of the Louisiana Derby winner, and the leading points getter, Girvin. And then John Shirreffs, the winner of the Santa Anita Derby winner, Gormley. But first we’re delighted to welcome in a frequent quest on these teleconferences, and that is Dale Romans, trainer of the Gotham Stakes winner, J Boys Echo. He was fourth last time out in the Bluegrass despite a troubled start, and we’re going to learn more about his preparations for the derby right now. Dale, it’s Jim Mulvihill, thanks for joining us. Dale Romans: Well, thanks for having me. It always means something’s good going on if you want to talk. Absolutely, and we’re always happy to. We’re get to the horse in a second, but first I’m sure everyone wants to hear about your rider situation, Robby Albarado, of course, side-lined a couple of days ago. There’s some great jocks out there without commitments. Can you just give us an update on your thoughts on a rider? Dale Romans: Well, we’ve decided not to rush into anything of course. You know, it’s like you said, there’s a lot of good riders out there and really kind of waiting to hear from Robby, what his, get his input, because he’s ridden him so many times, on what kind of rider he thinks would suit him the best. And I won’t put him on the spot because I know all the riders here are friends of his, and talk a little more to Jason Luch. And I’d say by the end of the day tomorrow we’ll have something figured out. That’s interesting, you know, about a particular rider would fit the horse. What is it about his style or a jockey’s particular strength that you think would fit J Boys Echo? Dale Romans: Well, I’d like to see someone – you know, with all the ones that are available there are some great jockeys there, either Hall of Famers or future Hall of Famers so they’re going to have the characteristics of performing. But I want somebody who can finish strong and, you know, somebody that’s – that, and see what Robby thinks, what the thinks is the best style of jockey to have. I think that he’s more of a finesse jockey, though I think we would like to have a good, strong finisher. Make sense, very good. Well, J Boys Echo worked on Sunday. You called it a solid move: 5/8th and 01:02 on one. Just tell us more about your impressions of that move, and Tammy’s as well, I guess. Well, we’d both see that he did it, depending on whatever one we wanted to do. He’s going to – if you look at the four-week span he’s going to have two races in three works, so it’s not like he has to go real fast and winning things, he’s pointing fifth. And we’re just trying to keep him sharp. And, you know, if he went by himself, went around there in 01:02 – that’s about all he ever does in the mornings, he’s not a big workhorse unless he has company. And she said he felt good, he came back to the barn he was already cooled down, I mean, he couldn’t blow out a match. Well, we’re just trying to find us a derby horse, here. I think you’ve already got you one. I’m trying to see who my derby horse is going to be. So when we talk about J Boys Echo talk about the involvement of Tammy and how important she’s been with his development. She’s been a performing really good horse I’ve had of course. You know, she’s – we’ve been together since the beginning of my career. So every big horse I’ve had, it’s important to have someone like her on her back because she gives me good feedback. And J Boy is obviously more of a special project, she doesn’t only work him, she gallops him every day and has ever since he came in. And he was not the most mature horse when we got him. You know, he was – he would do a lot of things wrong, had a lot of natural talent. And she kind of got him focussed and doing things the right way. Done a really good job with this horse. When you look back at the Bluegrass Stakes, which was last race, I know that you didn’t win, but did you get something out of that race do you feel like for this horse? I was just trying to run a race, I know he could, that’s all. He got to race, so if you’ve got a good race in, which we needed, and he was finishing up, he ran hard. They went so slow early he came so fast, it was going to be hard to make up any ground on that racetrack. When you look at a few of the derby contenders, just talk about some of your past horses that I’m sure Tammy was involved with that Shack preferred. He’s got some horses that are running now as three year olds, meantime it was one that looked good, too keen on the other hand. Does that make you feel good to know that your horse, Shack, is doing his job in the stud bar now, Dale? You like to watch your past horses and see how their offspring do, and you spend a good watch first through and Shackleford and Palefrado[?] and Kids Joy, all of them have their baby spirits. It’s fun to produce good sire-ins and get to watch their foals because they’re like grand-kids to you. Hi, Dale. The – when you go – I want to go back to the Bluegrass again also. Do you think – how much was the start a problem for J Boys Echo and how much do you think that took him out of the race? Well, I think it was a pretty big problem because we were hoping that to get a little bit closer in the race, because the track is planned for speed and it didn’t look like there was a lot of speed in the race – and that’s kind of the way it’s set up and materialised. And then he got bumped. If he breaks clean and he’s up a little closer, and all the other stuff in the race, getting bumped around and stepped on doesn’t happen. And he came back, his eye was swollen up the next day – he got hit in the eye with something. It just was a – the whole race went wrong. And everything starts with the breaks. Well, good to that end, but how much did the eye problem affect him as the race went on? And how much – what kind of a – how bad was that? You never know. It wasn’t that bad, it went down the next day but, you know, he looked like he went a few rounds with Mike Tyson the next morning. the day right after the race there was not a problem. But he obviously got hit in the eye with – the eye was hit with something. It wasn’t actually the eyeball that was affected, it was just he got hit in the face with something and, you know, that had to affect him. For a lot of the distance? I think so, I think so. I think just draw right through it and see if we get an effort like we did in the Gotham for this race. Dale, the last three years we’ve had kind of a consensus heading into the derby. And this year has been kind of people are more all over the map with, you know, with their picks and their choices whether it be because of upsets or injuries or what have you. What’s your thought on the whole thing so far going into the derby? What have you looked at and what have you seen? I think it’s as wide open as we’ve seen in a long time. I think you’re going to have some big odds on whoever the favourite is – whoever it ends up being. I think that you’ve got, McCraken, I think. I think you’ve got Always Dreaming. Of course, Classic Empire. Those are going to take a while to play. And everybody else, I mean, it could be any horse this race. And you could figure out in that form some place that that win – the win came from. I don’t think this really means it’s a bad group of horses – I think it’s an even group of horses. Right, right. And your horse, J Boys Echo, what is it about him that makes you think that he could win the derby? The fact that I think a mile and a quarter will help him. And he’s been – he’s had some rough trips and races and overcome. And, you know, if he gets a fast pace he’ll be running at the end, and that’s what you want to see in the Kentucky Derby. Hey, Dale, you’re a confident guy by nature. When you win the race, like you did the Gotham, obviously you came into the Bluegrass extremely confident. When you, even with excuses and stuff, when you have a race that you’re putting a line through, as you said, with the Bluegrasss can you have the same sort of confidence going into the next one or is it the derby you can’t have complete confidence in any horse? Well, this will be my eighth try at the derby, and so I can’t have complete confidence. This is the best of the best, and to win it will be such an overwhelming thing, it’s hard to go into it with a lot of confidence. But I was a little bit discouraged after the Bluegrass for the first 48 hours. I watched the replay a few times, I see where we got in all the trouble. I know my horse is training good, he’s very healthy and I’m confident that he’s going to run well. – there’s plenty of speed [inaudible]. There hasn’t – if there’s not the chief speed you can’t keep going. Exactly, but it spreads the field. Right. It hasn’t happened in the point system, I don’t know if it’s because of the point system, if there’s some – you know, like the issue, go back and look at speed horses were eliminated but with the new point system. But I think there’s some fast horses in this race. – he wouldn’t have made this, the race. But there seems to be some fast horses in here to me. So you think – I mean, because, you know, he had a bad trip in a seven horse field with, you know, no pace. But you think that he could feel slightly more of being a favourite if you get the pace. Right. I’ve had as many bad trips in short fields with, and face not materialising in short fields as I have in big fields for some reason, it seems like. Yeah. And I was hoping to ask you, you know, he’s a wonderful horse but when he finished fourth in his last race, he’s probably got more ink than any horse coming off of fourth place finish into the derby. You’ve been really big on social media, and going even before the Bluegrasss. Can you sort of talk about the different things you’re involved in and why that is important to you to do it or [inaudible]. I love horse racing, and I think a lot of people out there do, and it’s – there’s so much more to it than the actual race. And I think with some of the social media we’re trying to do, and you’re helping us with in the Kentucky Derby, or Kentucky HPA is doing and Kentucky Derby Kids is doing, is it pulls the curtains back and lets people see what goes on, how great the game is and how fun it is to be on the back side and what goes on in the mornings and what goes into getting the horse over there for two minutes. And this game, in my opinion, is tailor-made for the internet. It’s a very picturesque game and there’s a lot of stories and a lot to be told besides just running around a track for two minutes. So hopefully [inaudible] enjoying it, okay. I was going to say that with the horses do you have any second thoughts about maybe I really don’t need this camera in my face? No, it’s fine. We talked the other day about you’ve got to stand there for the bad, if you’re going to stand there and take credit, or good when you say you’re good. And it’s all part of the game. And I just, the game as a whole, I like to see it more exposed. And I think people are liking what they’re seeing. You might draw some more fans into some of the races betting horses. Alright, Dale, well just to wrap it up, I guess, and maybe tie some of this together, looking at the big picture for J Boys Echo, for some of the reasons that you mentioned he’s going to be a hard one for handicappers to get a handle on: he’s not a flashy horse in the morning, his last race might be a total toss‑out. So if he can run say his Gotham again is that enough to win the Kentucky Derby? Where does he – how do you size this up? Where does he really fit in in all this? Dale Romans:I think he’s horse that you definitely don’t want to leave out of your exotic wages, and when you have one of those kinds of things go right they can get all the money. And he’s a horse that’s steadily improving. He’s never run a bad race, and he just keeps getting a little bit better and better. And he shows he’s fast enough in the Gotham, I mean, he ran one of the biggest buyer, if not the biggest buyer, of the field. And if we get back to that he’ll be right there. Very good, that’s the info we like to hear. Dale Romans, thanks for spending some time with us. And good luck with the rest of your derby preparations. Alright. Dale Romans, trainer of J Boys Echo, who earned a 01:02 buyer for that Gotham. And Dale tells us not to leave him out of our exotics. With that we’re going to move on to our next guest, and that’s going to be Joe Sharp. He’s the trainer of the risen star and Louisiana Derby winner, Girvin. We had Joe on a few weeks back in advance of the Louisiana Derby, but now we get to find out where he’s going or where he’s at going into this Kentucky Derby. And there’s lots to talk about here, so let’s see if Joe’s on. Joe, it’s Jim Mulvihill. Are you with us? Alright. Well, thanks for coming on the call. Just to bring everyone up to speed, trainer call audibles all the time of course, but we all know that with these derby horses every move gets scrutinised. So yesterday you decided not to work at Caneland as planned, you jogged instead. Just tell us what happened there. Well, you might say we got it the wrong way but, he was actually galloping the wrong way. We basically had decided to put in one good work about seven to eight days out and go and see the 3/4 to 5/8 on a Saturday instead of trying to put in two works. You know, he’s a horse that’s never missed a day, never missed a pattern. I kind of had a decision to make whether I wanted to try and squeeze in two works or have one solid work. You know, at this point its best we move forward with hopefully going on to the next race if we’re crawling through our hands. We want somewhat of a fresh horse and he’s fine with it, so we decided to have one solid work going into it. I talked to my [inaudible] today and brought him up to date with it. But, people will probably dissect and analyse the moves. But, you know, if I win I’ll be a hero; if I lose I’ll be the young trainer that made mistakes. I’m confident, like I said, I’m doing the right thing for the horse. So that’s all that matters. And then overall is it safe to say you’re satisfied with where he’s at right now? I mean, is he still the same Girvin that was the best three-year-old in New Orleans this year? Yeah. Girvin, he’s solid. You know I entered as many horses as we have and all these things. We don’t blanket approach and I know the horse like the back of my hand. And when I see this I feel like I should alter things to benefit him, that’s what we’ve done [inaudible] its’ what we all want. I’m comfortable in the decisions that we’ve made, and that’s what he needs at this point. So he is the same Girvin, absolutely. Hey, Joe. Back in 2014 when you were making your decision whether to go out on your own when you were an assistant with Mike Maker, you’ve got a pretty extensive background in horse racing. Was there anybody you leaned on most heavily for advice on that decision? Was there a determining factor or one certain factor that made you come to your final conclusion? There were a few people, and probably the main one was my wife, Rosie, she always had a belief in my ability and her support meant a lot. And then Mike Maker, who I respect, [inaudible], he was very supportive and basically when I brought it up pushed me out of the nest in a good way. And with those two obviously key figures in racing behind me, telling me I was right and it was a no-brainer. Right. And checking back on your resume, you won with the very first horse you saddled. You won with three of the first four, and five of the first eight. What were your thoughts? Did anything in your mind, boy, this game is as tough as it looks or –? No, it was great. It kind of was one of those like you want to pinch yourself but at the same time you kind of get that real, you know, you get that momentum and you feel a little invincible with the success and start to attract different kinds of owners, which were all good and we’re grateful for. But it’s also the ability to just run them where you want and then start having to run horses based on their pedigree and based on their owners. And so opportunities were a little bit, [inaudible] ridiculous and unrealistic. So, you know, we were proud of our start, it’s hard to do. I think that I was very aggressive from day one. I think that most people are afraid to lose horses when they start because they don’t have many. And my approach was if I lose them and I win I’ll get more, and I think that’s what made us successful about that. And how many do you have now, Joe? We have around 70. We’ve only had about ten [inaudible] come in. We easily expect about, you know, around 40 or so coming in every year. So my numbers don’t fluctuate. But my business has changed a lot, you know, we started out blaming a lot and now since progressed to, you know, a lot of two year olds and three year olds, and we’ve had a phenomenal year with three year olds. We’ve been through it all but, you know, we’re definitely proud of our progression and the people that we’ve attracted. Right. And you’re 32, correct? Okay. And my final question about Girvin, what is it about – he’s going to be your third grade one-starter. What is it about him that makes you think he can win this derby and give you your first-grade win-win? I’m not saying that I think I’m going to win the derby, but I definitely wouldn’t trade places with anybody. I just like that he doesn’t [inaudible], he’s always consistent and he’s got the kind of running style that wins big races. Talk for a second about Rosie as your exercise rider and how much of a benefit is it that she’s ridden a derby. So do you think that’s been a benefit to help him prepare your horse? I think the biggest benefit is the fact that I don’t have to pay her. There you go. Alright, we like that one. No, I’m just kidding. She’s a very good seller in the [inaudible]. She’s been great. Honestly, because, you know, let’s face it, I would lying to myself if I said that you can just throw your shoulders back and say, you know, you got this. To have the reassurance and the fact that I’ve never seen her this excited about any horse she’s ever ridden. She really cares about Girvin and really believes in that, and so it means the world to me. Mike Smith, I know that he rode won the double-dog therefore he told me was going to do that. You met with him, how did that go? And as he and Rosie kind of put their heads together on this horse as well. No, it was great. Rosie and I were undecided about it, you know, who rides. You know, we had a couple, [inaudible] was the other one that we were very, a bit wondering if it was going to. And, honestly, at the end of the day it just came down to the fact that statistically I feel like a fool for not riding him like when I had the option. And she and I talked about it and that’s what we went with. And then we would have been fine with either. You know, and like I said, I can’t express enough that how comfortable we are with Mike. And we knew from – we knew going in that he picked a better horse than ours – it was just a heat, you know. Had loyalty, which we all, we respect his loyalty, and we would expect him to have to us if we were in the same situation, so. Exactly. And when you get a crack at Big Money Mike, you know, that’s it. So, anyway, I appreciate your time and I certainly do wish you folks the best of luck. Joe, is there any concern about the fact that Girvin has never raced in any of the start rounds? No, not at all. Honestly, we just like run him on the grass, get the horse to ride on anything. You know, there’s going to be a lot of horses in the derby and trips are bound. The one thing about him when not nervous is everybody, you know, is kind of trying to almost make you feel anxiety or make you feel nervous, but I just have so much confidence in him that certainly as an individual that I know he’ll go over and perform to the best of his ability. It doesn’t mean I know I’m going to win the derby – that would be, foolish to say. But I do know that I have the utmost confidence that we will go over there and absolutely give his all no matter what the pressures they are in. And that’s something as a trainer you cherish and you just want them to like it, so. Looking back on the Louisiana Derby, I mean, just like these other races, he was gaining ground at the end as he was winning. And so that looks good but do you also, do you look at the pace of that race and wish it were more as if it were more, just so you could know what you were getting coming out a mile and an 1/8? No, not really. Everybody will bring you down and try and make a case for a negative but, like I said, I wouldn’t trade places with anybody if it all ended today. I’m grateful for what Girvin has given us, and he’s a good horse. You know, anything at this point is bonus. I don’t have any reservations, right. In fact, I see it as a positive, the fact that he’s overcome sprinting on the lead, no pace, turf. He’s overcome a lot of things which people would consider inexperienced and only had poor starts. He’s actually shown a lot of depth in these poor starts. And to that end, I mean, look at the positives. And do you think his style just may be better than others? I thought I’d ask you what are some of the benefits that you feel with, that you’ve gotten so far by bringing him to Keeneland? Have you seen just a change in his demeanour? Do you feel like it’s a more relaxed setting for him? Well, actually, by coming to Keeneland – it’s been a lot more relaxed. And, you know, like I say, you don’t even know there’s a derby going on there – which is huge. In my opinion he’s just kind of stable and just relaxed and trying every day without any interruptions. It’s been enjoyable for all of us. We have markets across the street, we have good grass, we have everything right there at our fingertips. I think it would be foolish not to take advantage of the ability to have him there. But I know – originally last week you had planned to have Mike come in and see if he could get on him for the work. Are you going to – is the plan still to have Mike come back in for this Friday to work him there? Well, I think Mike’s probably going to have appointments for the weekend. Mike and I talked yesterday on the phone and it makes you guys feel better Mike getting on maybe, it makes it sound better, but he doesn’t need to sit on him before the derby to change the outcome. Do you know what I mean? Mike can throw his leg over anything out there and get the same out of them whether he’s sat on them before or not. So if it doesn’t work out the weekend or he gets to ride him in the derby or he gets to work him before the derby then we’ll know, we’ll feel just as confident. And is the plan basically still to stay there at Keeneland for, you know, just basically up until you have on the grounds for Churchill? Yes. And we’re just happy there. It’s a great facility, we’re very happy training there. And we’ll be there until the next move. Joe, can you be more specific as to the reasoning’s that went into cancelling the work Monday? Not any more specific than I’ve already said. I just felt that instead of trying to squeeze in two, what I would consider maintenance work or half mile work, we decided to throw us a little more solid work, maybe a little longer distance. To reach out because that’s just what we felt he needed. Joe. There’s widespread comments on your horses that’s mostly favourable. But the one things you see often is ‘he needs to pick up about five, six lengths to be competitive in the derby’. Do you agree with that and if so does he have that kind of a forward move in him? I think absolutely he does. I think this is exactly where he needs to pick up considering that – like I said, he’s the kind of horse that’s never going to win by a lot. He’s a competitor, he’s a fighter and he’s not going to draw off and win by a lot. It’s just not going to be his nature. So I’m not discouraged by the numbers he’s on or anything like that because I know the horse. I know that’s always going to be him. So are you one of those trainers who does rely though on the things whether it be Jerry Brown, whether it be Ragazin whether it be the buyers or do you just use other tactics? I honestly rely on the horse and horsemanship honestly more than anything. I appreciate it, that’s just purely all. Obviously, and the conditions as well and use that to my advantage. But I don’t get caught up in that. I was wondering if you might give a comment on, you know, postponing a workout or however you want to term it with any other horse and doing so with a Kentucky Derby hopeful and sort of the speculation and hand-wringing involved in something like that versus any other horse you might do that with. Well in my opinion I don’t feel like we postponed a work, we just decided to manage doing the work once One thing that Mike has taught me is whatever, you know, they want to speculate they speculate. But we’re confident in our decision and we’re doing the right thing by the horse and that’s all we can do. Hi, Joe. A few years ago, Rosie was the celebrity and the top rider, and you were the guy in the background. And now you’ve had a tremendous start to your training career and now you’re out there with a derby horse. Do you guys ever sit down and say wow things, you know, things really have changed, that they’ve, you know, turned out really well the last couple of years? Well, it’s funny you ask that because honestly when I do stuff like this I’m so glad I’m here and not there any more. So, yeah, [inaudible] she’s like God, I’m so glad it’s you and not me. So she’s relived – we’ve always had a good balance when it comes to that. And, it was big. It takes, I guess somewhat of a certain personality to be able to take [inaudible] – me, I was always a big fan. I wouldn’t have had it any other way. Alright, Joe, just one last quick one for the benefit of our notes team here at Churchill. We, you know, follow the, all the daily goings on for every horse. So can you just give us a quick summary of what Girvin did this morning at Keeneland. Girvin came and [inaudible] and, you know, he’ll train there in the morrow. Jim Mulvihill:Very good. Well, we’ll look forward to seeing him both there and here at Churchill. Thanks for your time and best of luck the next week and a half. Alright. That was Joe Sharp updating up with the goings on with Girvin. And that brings us to our final guest. We’re going to welcome in John Shirreffs, the winner of the 2005 Kentucky Derby with Giacomo of course, and trainer perhaps the most popular racehorse of this century, the great mare, Zenyatta. He’ll be on his way to Louisville this weekend with the San Anita winner, Gormley. And hopefully we’ll also get a chance to ask about plans for the San Anita Derby third place finisher, Royal Mo, who would need two defections to make the derby field. Let’s check in now with John Shirreffs. John, it’s Jim Mulvihill of the NTRA. Thanks for joining us. I’m doing great. We really appreciate your time. Can’t wait to learn more about Gormely here. I was reading up on the work on Saturday. It was really interesting what you were saying about the intent of that work. So for the benefit of those that may be are just looking at the PTs and all they’ll see is 6 furlongs and 1 1/15 and 4 can you just tell us about what you were trying to accomplish with that brief. Okay. So the idea was that because he doesn’t have a big stride that he needs to have a kick at the end of the race. The whole point of that was to get him behind another horse and then not be pulling, because you know if they’re pulling too much then they’re using a little bit too much energy. So I wanted him to be comfortably behind another horse and just be waiting to be patient and listening to the rider and for the rider to ask him. So then that’s what we did. And then instead of coming around on the outside we want him to come through on the rail because obviously in the derby you’re going to have to split horses somewhere, hopefully you’re going to get close to the rail somewhere, you know, to save a little ground. So that was the whole deal. It wasn’t so much about having a fast workout or anything like that. It was more about continuing the lessons we’ve been using with him. And you were satisfied that he got the point? Oh, yes. No, he’s getting better and better about it all the time. In his race you saw Victor was able to take him back to his seat because he’s quick. He’s real quick out of the gate and he gets himself in gear quickly, so Victor had to take him back. And at first he resisted a little bit but once Victor insisted upon it then you could see him settle into the race. Yeah. Very interesting, okay. And more to come on Gormley. But before I open it to the media I just want to check on your plans with Royal Mo. He’s 22 on the leaderboard so is that close enough for him to get on the plane here Sunday with Gormley? You know, it’s such an opportunity for a three-year-old. I’ll have to make that, have that discussion with Dottie and Mr. Moss. Very good, alright. Well, we’ll wait to hear more on that. Let me step aside and we’ll see what questions the media has for you. John, looking back, not at the San Anita Derby but the San Felipe, we’re talking about Gormley’s likelihood of having to split horses in the derby. Did you see something in his moves late to try to, to say okay we learned something from that or was there a break from what happened in that race or how do you look at it? Well, you know the San Felipe was an indication of his needing to save his energy and have a kick at the end. You know, it’s very difficult for him to match strides with a big horse that is motoring on in the lead. He’s got to save energy and pace himself and then kick at the end. And so that was the thing in the San Felipe was an opportunity there to take back and make one run. So after that race I told Victor, you know, we’ve got to do this with this horse for him to get to the next level. To that extent then to the last race, the San Anita Derby with the wide trip is that something you say okay we can’t get away with that in the derby? Well, you know, I always remember what Ron Turcotte was saying when he rode Secretariat, right. So Secretariat lost a lot of ground around the first turn and the media was questioning him, is there really a move on Secretariat. And he’s, you know, I can’t go wide around both turns and win the race. So whenever I think about the Kentucky Derby I always think about that quote. And then I remember Mike Smith on Giacomo. Giacomo was going wide into the first turn and Mike told me after the race, he said, John, I had to get – I had to save ground. He was afraid he might clip heels with the horses in front of him. He said you know at this point I just had to take that chance, so. I think that’s one of the things, you’ve got to save ground somewhere. And how do you look at the field? I mean, there’s been a lot made of the fact that the final prep times have not been all that stellar. How do you look at this field and that criticism? Well, I think there are a lot of nice three year olds out there and I think it’s going to be an exciting race. Okay, Professor Shirreffs, what has gone into developing this lesson plan for Gormley? Because I know there’s different things you’ve done throughout the past four, five months to – and different methods of training. Is it years of experience or how do you come up with a lesson plan here? Well, you know, it’s pretty much basic horsemanship. So the idea is somehow to get the horse off the bit. You know, if you’re – if he’s on the bit then he’s too aggressive, you know, then you’re just containing him too much. So the thing is that a horse gets long and low, long and low. So you want to get him as long as possible. And the way you do that is with a longer reign. So everything we do with Gormley is to have a longer reign while he goes to the track I have him follow a – the pony, have the pony in front. And have him follow the pony so he’ll learn to pace himself off the horse in front of him. At the same time, because he’s a little anxious and he wants to get up close, Disco’s got to really work with him, and releasing him, you’ve got to release all the time until he go long, long in his stride – I’m talking a lot about long. I’m talking about a horse has several gaits. And if he can learn one thing in one gait he can learn it in another gait. So first of all you start walking with a long stride. So that’s it, just that kind of stuff. Talk about your ace in the hole, Victor Espinoza, and how he has fit into all of this development of this horse. Okay, so Victor Espinoza is a real, strong guy. Very strong rider in the sense that he can hold a horse – and he can hold a horse because he can keep his hands down. So he’s lucky, he’s not too big, but he doesn’t get his shoulders too far in front of the horse, his withers, and he’s able to keep his hands down and not have to move them. Whenever you see a riders have to reach up and take another hold that horse’s head is going to come up and the bit is going to get in the corner of his mouth, where it really shouldn’t be. So with Victor he can take one hold and he’s strong enough to keep his hands down and not have to move on the horse. So that really helps in the sense of anchoring the horse. And then once you do that then the idea is to have softer hands, right. So you can just soften your hands a little bit so that horse can get that little half inch and just stretch and relax a little. And if you’re like Victor does, he has done an excellent job with Gormley in those aspects. Oh, yeah. Absolutely. No, absolutely. He’s just – you know, you just have to be patient. The rider has to be very patient and just wait for that horse to release and relax a little bit. If they get anxious and say oh he’s getting way too strong now I’d better grad again – you know, it’s over. Forget it, it’s not going to happen. John, I certainly do appreciate your time and everything. And I wish you the best of luck. And you’re fantastic, Professor. Keep up the good work, okay. John, going back to your past success at Churchill in 2005 with Giacomo. Are you using that formula? Have you changed anything up this year or say when you’re going to ship Gormley in or has it been pretty much the same? It’s been pretty much the same. We’re very fortunate in Southern California that our weather is pretty consistent and it’s usually pretty nice. And this time of the year in the Midwest the weather is certainly it’s not too predictable, I don’t think. So I think we’ll just wait and then have this last work here at San Anita and then just have to work. Okay. And any, looking back, any similarities between Giacomo and Gormley at all? No. Giacomo was a really kick-back horse. He was so relaxed, nothing bothered him, he took everything in his stride. Royal Mo is more like Giacomo than Gormley. John. [Inaudible] to everyone to comes out of California yet for some reason this year’s crop seems to be downgraded by a lot of the analysts and handicappers? Do you think that’s fair and if not what are they missing? You know, I don’t know because I listen to the local broadcasters on television and they seem to all have the same opinion, so – But I also know, you know, if you’re right, what, 15% of the time you’re doing great as far as the handicap is concerned. So I think then one thing we all know about the derby is that odds really don’t make a – I don’t think they make a big difference unless there’s, you know, a really a standout horse like, you know, American Pharoah or somebody really special, Secretariat or something like that. You know, and so I think – I don’t think odds will determine the winner. Okay. As long as I have you, let me ask a little bit out of the box. There’s no racing tomorrow because of a horse shortage. As a long time Southern Cal guy does that concern you greatly or you just think it’s just one of these things that pops up from time to time? You know, when the Hollywood Park closed Southern California was really hurt. Because all those parks provided a training facility for a lot of horses. And that’s one of the things that horses need, are great training facilities that prepare them for the races. You know, Hollywood Park was a very special place in that regard. And it was along the coast so the weather was just perfect all year round. It never got too hot, it never got too cold. It was a great place to train. And right now, with the real estate value and everything in California it’s difficult to find a training facility and have it affordable. Do you figure that that’s it then? The horses just aren’t good enough to race as often as maybe one would like them? Well, you know, horse racing is almost like the army in the sense that it takes a big support group to have it continually go, you know what I mean. So I think that California is a little bit separated in the sense there aren’t that many training centres around Los Angeles so it’s difficult to get the influx of horses that you have on the East Coast where there’s a lot of facilities, training centres and tracks where they can, you know, ship back and forth. So it’s hurt a little bit like that. Alright. Well, John, just to confirm you’re going to work Saturday and then the flight is Sunday morning. Is that correct? Alright, very good. Well, we’ll look forward to seeing you here at Churchill Downs. And I thank you for your time today. Alright, John Shirreffs, with a typically thoughtful discussion about Gormley. And we really appreciate John’s time. Our thanks, once again, to all of today’s guests: Dale Romans, John Sharp and John. And I also want to thank Joan Lawrence for lining up these calls all spring. Also, Darren Rogers for hooking us up with a spot here in the Churchill Downs Media Centre to moderate today’s call from. Another reminder, you can always get the audio of this call on www.NTRA.com and the transcript will be there too. And if there’s anything you need in the course of working on your derby stories feel free to ring me. I’ll be here at Churchill Downs for the next couple of weeks, and Joan Lawrence is always available for you as well. So please don’t hesitate to ask.